These special opening times will run from Thursday 26th July until Sunday 2nd September, before returning to our normal opening days/times. For the specific dates please see the Wire and Swing pages. 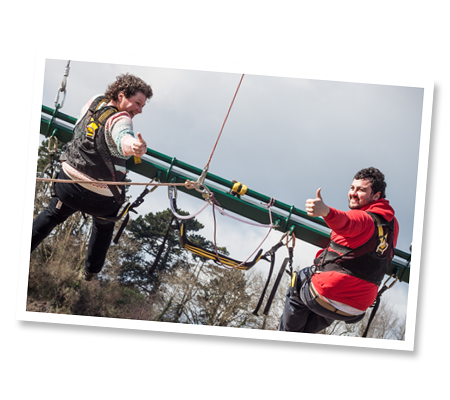 The Wire is one of the UK’s longest, tallest and fastest zip slides, running the 700 metre length of the spectacular NDAC Quarry. The Giant 3G Swing is our latest attraction and for only £19 you can experience weightlessness 245 feet in the air on our ultimate adrenaline-pumping blast! Then it is down to one of you to pull the ripcord! 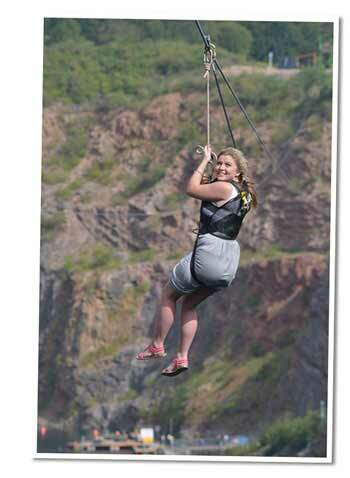 After the initial terrifying drop, you’ll launch into the air, feeling the G-force as you swing up into the sky, 245ft over the steep quarry edges of the UK’s Deepest Inland Dive Site. You will then be momentarily weightless before accelerating through double gravity as you level out at the bottom. You will continue to swing several times until our experienced staff bring you to a halt and carefully lower you down to the ground. This entry was posted on Wednesday, June 27th, 2018 at 4:12 pm and is filed under Activity, Chepstow, Local Information, opening hours, School Holidays, The Swing, The Wire. You can follow any responses to this entry through the RSS 2.0 feed. Both comments and pings are currently closed.